Home > Babies > Why are human tender touch and warmth important for babies? In the article The senses of a baby inside the womb, you can read that babies from the 10th or 11th week of prenatal development feel pain, and it seems that their skin is also sensitive to the touch. A fetus can already feel the touch that early and react to it because of the constant exposure to uterine muscles. It seems that the sense of touch is the most developed sense in babies immediately after delivery. That explains why babies are so sensitive to human touch and warmth and need those. In the 1950s, an American psychologist Harry Harlow conducted experimental research with baby monkeys and two artificial wire mother. One wire mother had the bottle with milk and the second was cloth-covered without the bottle of milk. Believe it or not, the little monkeys preferred spending time with a cloth-covered mother rather than with the mother who gave them the milk. That proves that coziness and warmth are more important for babies than food. Another study proves the importance of human touch for babies. Namely, at about the same time, the well-known British psychoanalyst John Bowlby has collected a lot of evidence that human babies who lost contact with their mother often develop psychological problems. This research actually claims that the parts of the brain responsible for social contacts of children who have more physical contact are more developed than of children who lost contact with their mothers. increasing the closeness between babies and mothers, but fathers as well. Namely, when I talk about the importance of tender touch for babies, I don’t only mean a mother’s touch. Of course, gentle physical contact between babies and their fathers are also significant, and not just for babies. By touching and cuddling babies, fathers also develop a closeness to their babies and increase self-confidence as parents. Above all, I must mention one very important advantage for mothers from the warmth of physical contact with their babies. Namely, the warmth of physical contact establishes and stimulates lactation in the mother’s breasts. Also, it’s interesting that the temperature of a mother’s breast can be adjusted to her baby. If a baby is hot while a mother holds him/her on breasts, the temperature of the mother’s breasts will fall, and if the baby is cold, the temperature of the mother’s breast will rises. What if you don’t have enough time for physical contact with your baby? Unfortunately, many parents cannot afford to spend too much time on touch and warmth for babies, because they must go back to regular work. In order to not get fired and thus lose the funding necessary for babies’ lives, parents must sacrifice physical contact between them and babies. Also, some of them must be separated from babies due to health problems. If you are one of those parents, don’t ever think that your baby cannot feel all the benefits of human gentle touch and warmth. Of course, there are solutions, and I will give you a few. First, we have already stated that physical contact between fathers and babies is also important for babies as well as the contact between mothers and them. So, if your partner has more time for hugging, touching and cuddling your baby, he/she should do that. But, if you are a single parent or both of you must go to work, instead of you, the baby can make physical contact with grandmothers, aunts, babysitters… You only should choose a gentle baby-loving person for carrying your baby and, of course, you need to compensate for touching with your baby in your leisure time. Secondly, because the babies enjoy the smell of their mother, smell a warm blanket with the perfume that you used during pregnancy and curl your baby into it. The baby will feel safety by smelling the mother’s perfume although you are not in the vicinity of him/her. The third solution is purchasing Nested Bean products. What are Nestead Bean products? It all started with a baby boy who wouldn’t sleep unless his mom had her hand on his chest. That mom was Manasi Gangan, the founder of Nested Bean. She created a garment of sorts that simulated the pressure of her touch with lightly weighted parts. Slowly her little one started to drift off and stay asleep apart from her. Manasi realized that her simple idea should share with other mothers in need. She gathered a team of professionals from engineering, juvenile product design, retail, and marketing. 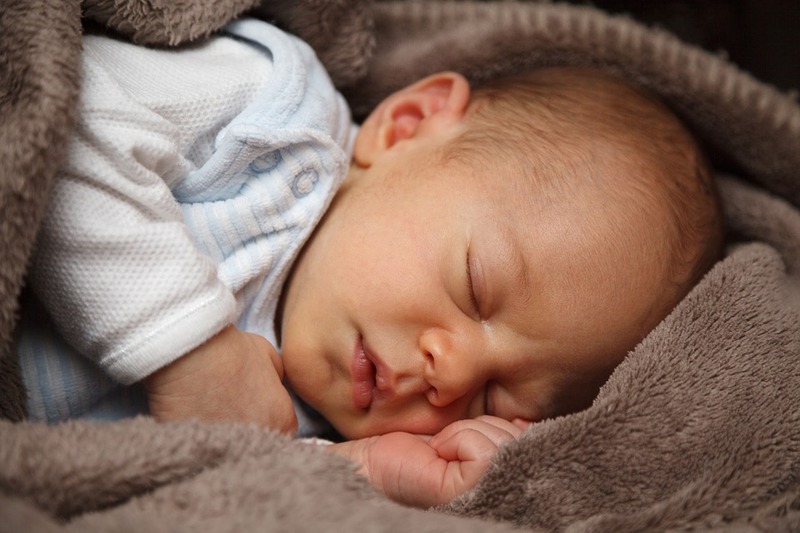 They all began to research infant sleep issues, touch therapy, and sleep safety. Then, according to the research, they created the Zen Swaddle, the only swaddle to truly feel like warm parents embrace. Zen Swaddle from Nested Bean allows your baby to feel like they are sleeping in your arms. Moms who have used the Zen Swaddle Blanket say their babies get up to two additional hours of nighttime sleep within one to three nights. Touch, kiss and hug your babies whenever you can. When you are not able to calm your baby with a gentle touch and your warmth, let other trusty people who love them to do that instead of you. On the other hand, you can wrap a baby into Swaddle Wrap Blanket to be sure that you have not deprived him/her a feeling of warmth and coziness. Babies enjoy human tender touch and warmth. Tenderness is a sign of love, and showing love is the best way for your baby to learn to love and that he/she is loved.